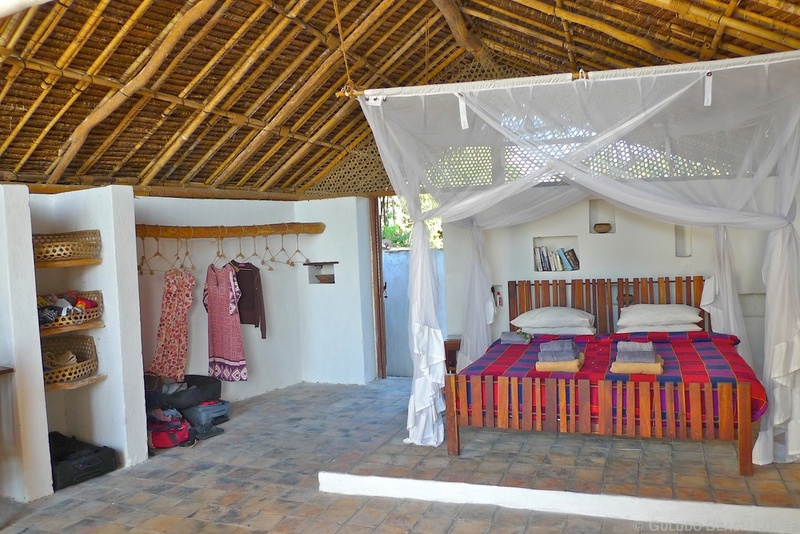 Our beautiful adobe bandas have been hand-built by a local workforce and design by award-winning architects Cullum & Nightingale; combining the best of traditional techniques with clever design features and eco-technology to provide the ultimate in barefoot luxury. Each banda is just footsteps from the beach. The large double doors and window create a natural fusion of the in and outdoor spaces and a feeling of openness. 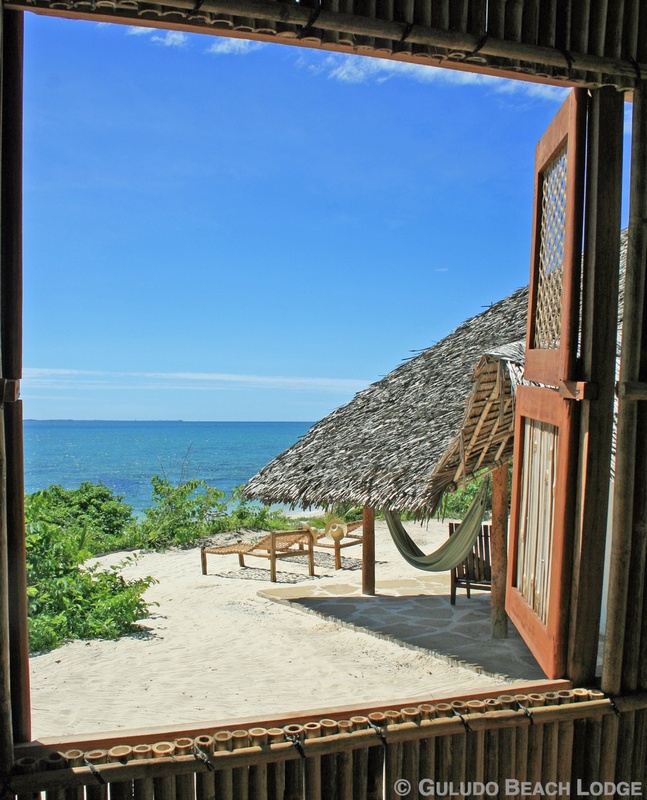 A large high roof opens upwards and outwards, covering the spacious the stylish Swahili-inspired veranda, hammock and traditional beach sun loungers. 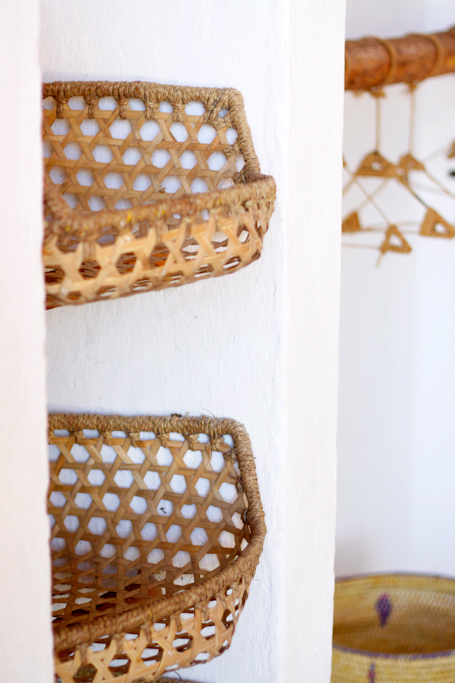 The design takes advantage of the gentle sea breezes, ensuring the banda stays cool, day and night. Inside is a discrete suttered window (reminiscent of a castles' arrow slit or lancet) sits above a writing desk, where the morning tea, coffee and pastries are left. The sleeping area is on a raised platform boasting a lavish king-sized bed under an extravagant, hand-crafted mosquito net; ensuring the most is made of the dazzling sea views. 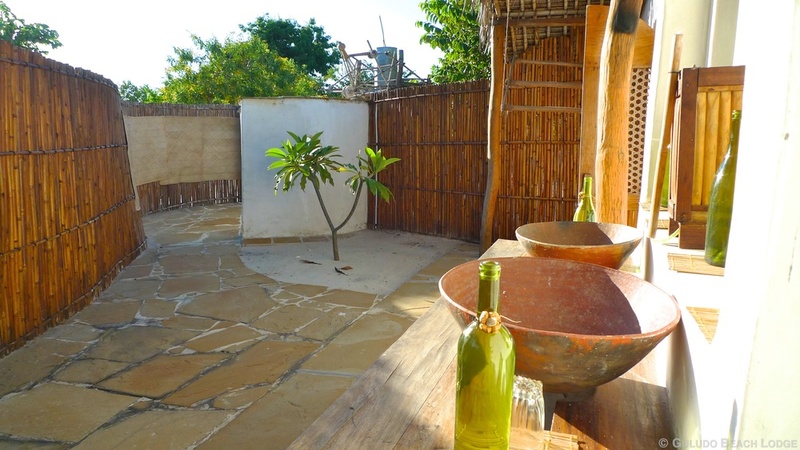 Behind the bedroom is a large open air bathroom with twin sinks and mirrors, ingeniously carved out of the banda wall. A huge shower completes a zen like space from where you can relax, unwind and shower under the canopy of bright stars. Positioned to the side of the private bathroom and up a small staircase is one the best views in the lodge... the view from the eco-loo! Stable door style shutters allow you to decide on just how proud you want to whilst enjoying the view!